When it's time to cut the cake, why not make a statement? 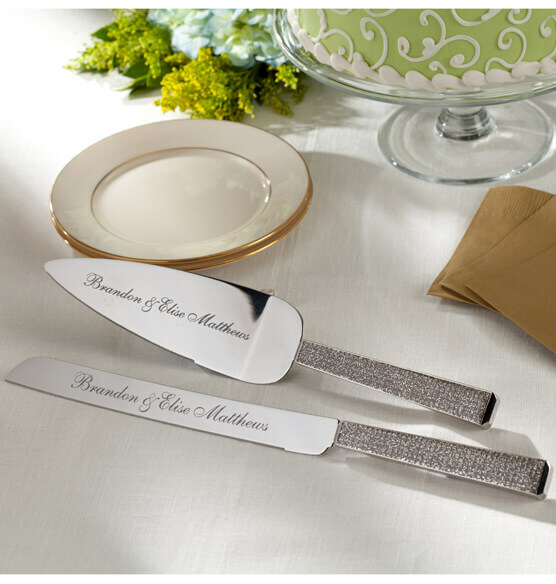 This glamorous Personalized Brilliance Server Set is perfect for a wedding or other celebration. Sparkly crystal accents add special occasion glitz. Personalize a message on the blades to create a one-of-a-kind keepsake. They'll be reminded of their big day—and your thoughtfulness—every time they use the set. 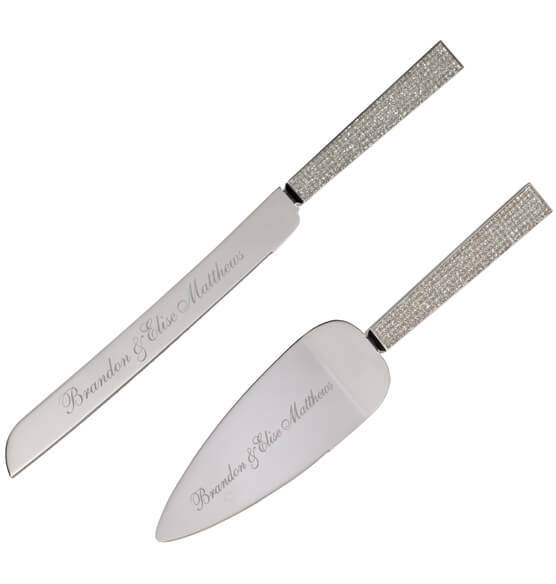 This wedding cake server makes a great gift idea.